I'll admit, we weren't huge straw users in our home, I could never bring myself to buy a pack of plastic straws (my brain just registered it as a waste of money), and the house seemed filled with little tiny plastic sippy cup straws we never used. When I first laid eyes on these beautiful straws from Strawesome though, I knew I had to have some. There's something inside that draws me to beautiful things like this. Now I have an amazing collection of 14 (yep 14.. thank goodness Daedra loves our wool dryer balls!!) of these beauties! Mr. Bunz and I don't splurge on ourselves much. After buying the teen new cleats, the pre-teen a new video game, the kid a new car and the toddler one of whatever the toddler needs our brains are either mush and we forget to spend on us (do you ever get home from the store and excitedly rush the bags inside, take everything out.. then realize you got nothing 'fun' for yourself.. boo!) or we don't have the cash left. Darn kids are expensive! But when we do, it's normally something awesome like this. Something that is special, something just for you, something that makes you smile, or makes what you're doing with it just that much sweeter and fun. A special cup, an awesome pair of shoes, a new bag, a soft blanket.. you know.. those grown up things. When we were little it was a Lisa Frank stationary kit, or a brand new pack of crayons and coloring book, those things that just make you smile and give you that warm fuzzy feeling. You KNOW what I'm talking about. These straws are one of those things. Sure, I can pick up any old cup and drink my water, but my special cup with my special straws just makes me feel warm and fuzzy and special. YES I'm worth it! I loved this cup before, now that I found out one of my straws fit I love it even more! I like to keep our pretty eco-friendly items out on the counter on display and there's no way I could ever put these beauties in a drawer. 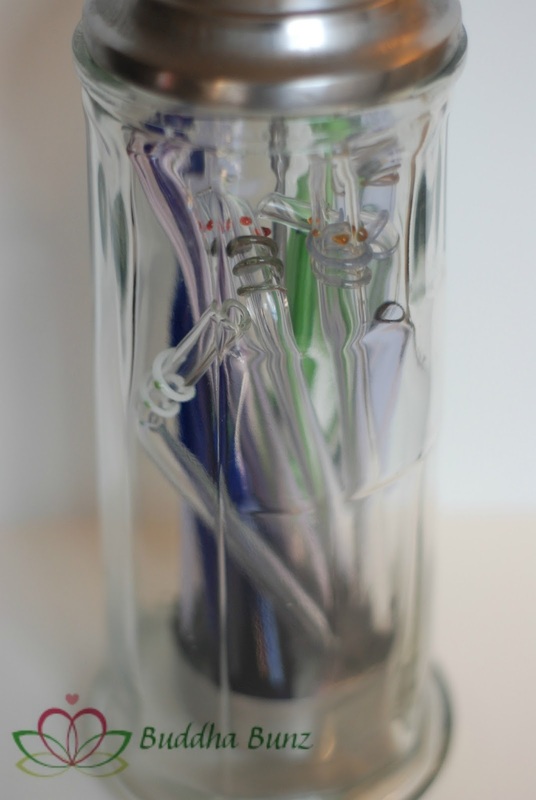 I keep mine displayed in a glass straw container, which makes me want to use them every time I see it. OK enough about the warm fuzzy feeling that using one of these straws gives you (Can you tell I am in some kinda squishy mushy mood? You can thank the first day back to school for that.) how about some of the facts? Sit back and think about how many plastic straws your family uses in a week's time. It's one of those little things that not many of us think about, not even me. At first thought it may not seem like much, but really think about it. We get fast food and it's not even a 2nd thought to use one, or how about when you go to a restaurant? Add that up for a family of 6 like mine in one year and that's a lot of plastic. I will admit, I haven't gone 100% plastic straw free myself when out and about (mainly because I'm worried that with being distracted by 4 little's I'll forget it), but Strawesome even sells carriers so you can bring your straw with you on the go. If we do get fast food and bring it home I usually pop in a glass one instead though. We are so consumed these days worrying about BPA, phthalates or other icky yuckies we expose our family to, but we never think twice about these plastic straws. 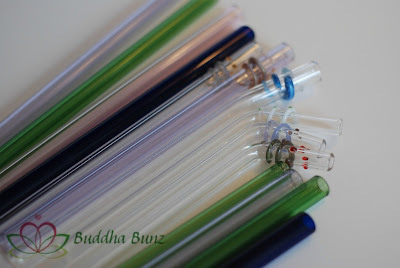 Glass straws are, BPA and toxin free. Have a hard time drinking as much water as you should every day? I'll bet one of these fun straws will help! How? When I have my cup filled with water it may sit on the counter for hours and I walk right by it. When I have my cup filled and my straw in it, I kid you not, something just makes me want to walk over and use it. Have a picky eater in your house like us? 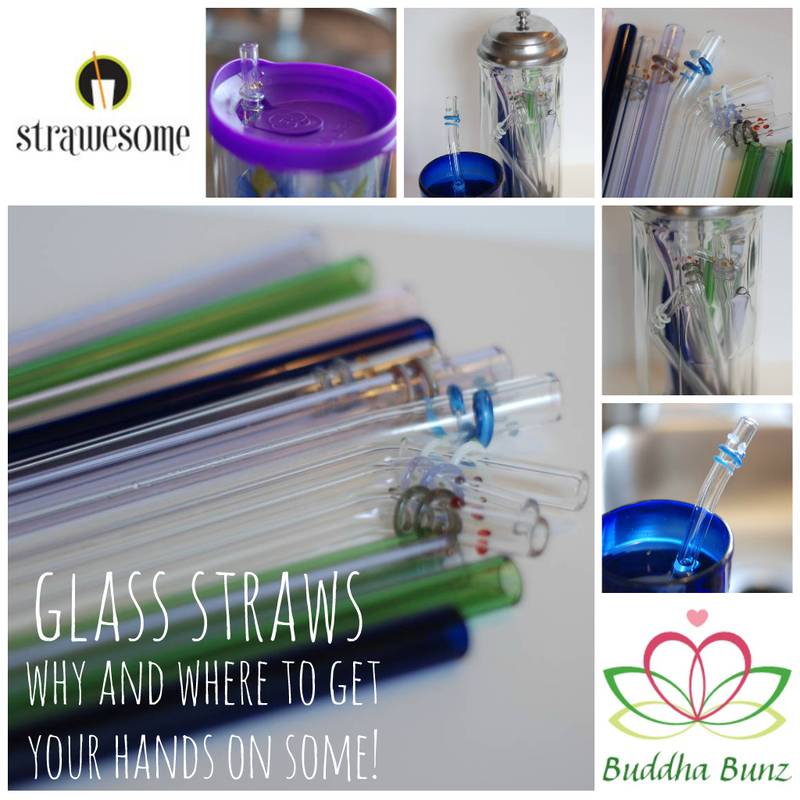 Strawesome glass straws are safe for kids too (we even have a glow in the dark straw just for the kiddies!). A smoothie or juice is just the way to get some extra nutrients into their diet and a glass straw just for them is an easy way to get them to gulp it down without a second thought. The kids even see that there's something fun about their special straw. I don't even drink my smoothies or juice without one anymore. Strawesome even makes a smoothie sized straw.. perfect for those thick drinks! And when you make a juice that just doesn't taste very good (if you've delved into juicing a little like we have you know what I'm talking about) using a straw is the way to get it down quick! As you can tell not only are these things awesome for everything I've mentioned above, but here are a few of the other reasons why we love them. They are handmade by a Mom here in the US, made with the strongest commercially available glass in the world, come with a lifetime guarantee against accidental breakage (I have had to get 2 straws replaced years ago, but it was my fault I was not being careful and Strawesome happily replaces them, you just pay shipping and taxes), dishwasher safe, easy to clean by rinsing out after use and using a cleaning brush, come in beautiful designs and colors or just crisp clean clear and come in every size you could ever imagine to need. 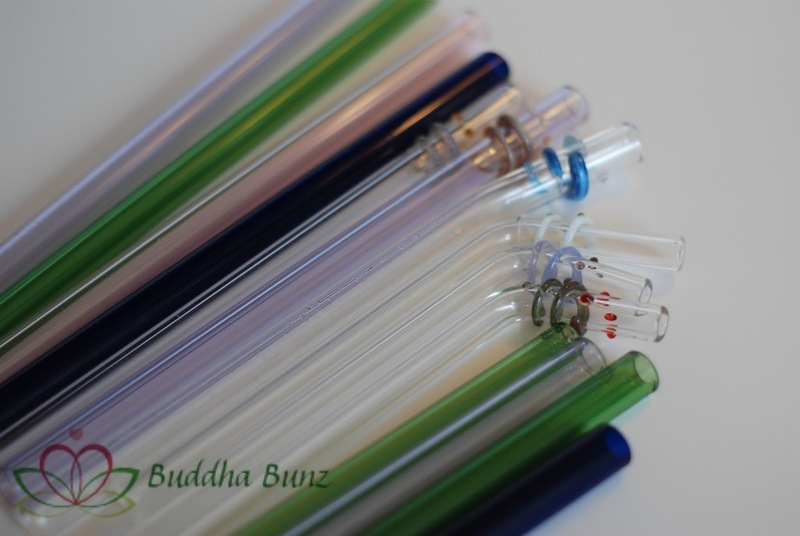 I hope you take a moment and check out the Strawesome website and their social network sites (facebook pinterest twitter) to learn a little more about these wonderful glass straws and the Mama who makes them all Daedra. We've been using ours since 2009 and I'm sure you'll love yours as much as we do ours. Strawesome did not ask or pay me in any way to do this review, I just had to share another one of our most loved products from our home! BUT Daedra has graciously offered to give away one 'artists choice' decorative straw to one of our readers!!! Please enter the giveaway below and start your collection soon! This giveaway is open now and will end at noon on Sunday 9/1/2013. 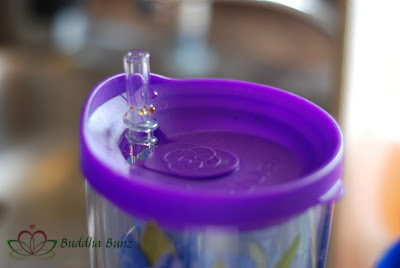 PS.. next week I'll be reviewing Kidzikoo, Kooleez and Koverz beverage and popcicle insulators.. love!